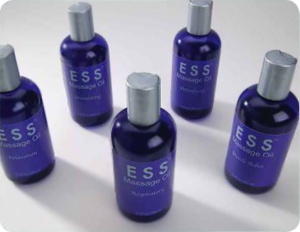 Blend of essential oils and carrier oils for a specialized bodywork treatment. Only the finest 100% pure, cold-pressed oils of almond, grapeseed and sunflower are used in our luxurious plant therapy massage oils. Vitamin E and essential oils provide maximum therapeutic value. Can also be mixed with sea salts for a customized body scrub. Bring relief to over-stressed, over-exercised, painful muscles. This special blend of eucalyptus, peppermint, ginger and wintergreen releases tension and tightness. Soothing and anti-inflammatory. This blend will stimulate circulation to aid muscle health. Eucalyptus, juniper berry, sandalwood, camphor and Himalayan cedarwood make this massage blend ideal for respiratory complaints or lung congestion. Helps clear air passages to ease breathing. Increases circulation and promotes the detoxification of fat cells. Ingredients include juniper berry, cypress, lavender and rosemary. Stimulating to lymphatic system. Excellent for cleansing. Instills a sense of energy and well-being. Contains rosemary, white thyme, cypress and Egyptian geranium. Pre-exercise blend increases circulation to muscles. With eucalyptus, lavender, patchouli, sandalwood, petitgrain, may chang, tangerine and Spanish marjoram this blend calms and soothes. Helps release negative emotions and frustrations as it relaxes tense muscles.